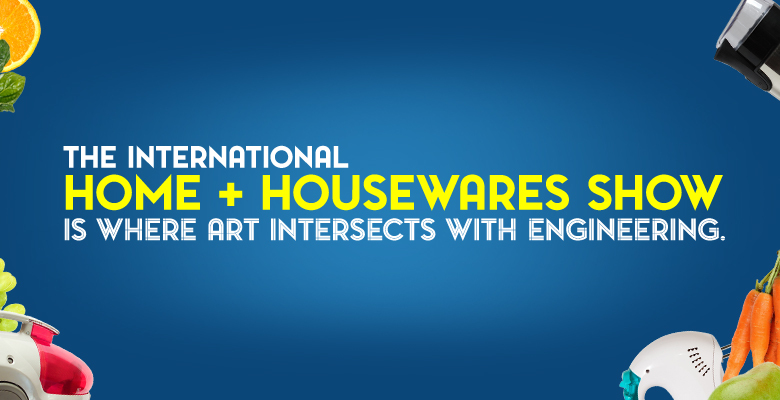 The International Home + Housewares Show, usually referred to simply as Housewares is where art intersects with engineering. It’s where technology informs style. McCormick Place in Chicago’s Windy City is the place to be March 2 – 5, 2019. This is show where exhibitors display innovation, buyers discover trends and the industry connects to do business. Whether you’re a first-time exhibitor or a seasoned pro, it’s critical that you get up to speed quickly and put your best foot forward right out of the gate. Regardless of budget, it’s important to draw attendees to your booth to get that all-important face time you came to Housewares for in the first place. Clever design, a clear message, and an approachable space are all vital aspects to increase your foot traffic and engagement. Success at Housewares starts well before the doors open on March 18th. Like anything else, preparation favors the bold and your efforts on the front end will be rewarded. Tackle your plan by establishing a budget, a set of show objectives, and be sure to launch a campaign to execute those objectives. The efforts for this show may take your marketing team beyond their capacity. There are plenty of tradeshow operations to reach out to. From concept to completion, idea to execution, the 2020 Exhibits Chicago Team knows how to elevate and celebrate your Housewares’ experience. We can execute your pre-show strategy, booth design, AV needs, logistics, and follow up. Exhibits can be a significant investment and it’s important to keep an eye on the bottom line. Evaluating your prospects at the show and targeting high value targets is critical to making it worthwhile. Powerful lead capture and lead generation services can help you quantify your efforts and give you tangible lead data to turn over to your sales force at show’s end. While you may actually close deals on the showroom floor, most interactions are just the start of a new connection and sales cycle. Those new relationships represent your investment and not harvesting them is essentially wasting all your efforts. Follow up immediately after the show and put the wheels in motion to adding a nice new book of business! From dock to door, our full-service facility is just minutes away from McCormick Place. We know Housewares. We know McCormick Place. And are happy to get your Housewares exhibit strategy started. Call a representative at 2020 Exhibits | Chicago and we can get started today.